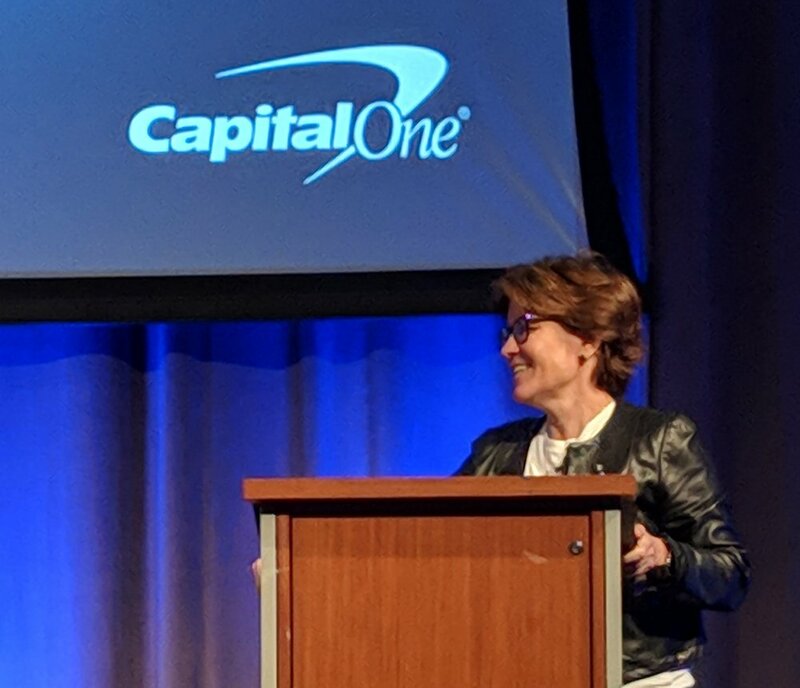 Kara Swisher at the first annual Corporate Startup Innovation Summit at the Capital One Conference Center in Plano, Texas. Kara Swisher, a Silicon Valley leader, writer, and host of Recode, spoke at Dallas Startup Week, focusing on innovation in large and small companies. While there are many successes like Facebook, Google, Microsoft, Apple, and Amazon, she cautions that with fast-moving innovation, risks have to be weighed and understood. For marketers and advertisers, this means being responsible with the new standards of advertising, from re-marketing campaigns that can follow users around the internet to selling your customer data to third parties. Harvard released a study saying that 97% of people are concerned that companies and governments will abuse their online data. For marketers and advertisers, this should be a clear signal that your customers need us to take care of their data. In practice, this means making it clear to consumers how we are planning to use their data and giving them easy options to take back some control. Only 0.2% of Americans opt out of display ad networks like AdChoices, even though a majority of Americans want to control their privacy, according to a University of Rochester Simon Business School study, Consumer Privacy Choice in Online Advertising: Who Opts Out and at What Cost to Industry? The reason why so few Americans decline the ads? Most people had no idea that it was an option. Consumers can learn more about their options from visiting My AdChoice, as well as setting their Google ad preferences. Ultimately, marketers and advertisers need to put pressure on display ad networks to make it easier to opt out. Mobile app developers should consider the moral and ethical dilemma in designing applications where the business model relies on selling the customer data that is collected. Developers need to look no further than the Brightest Light Android app, whose owners settled charges from the Federal Trade Commission for deceiving consumers. However, disclosure might not be enough to earn consumer trust. Stanford professor, Jennifer King, notes the obstacles that app developers create for consumers who want more control over their privacy on their mobile devices saying, “App makers are also able to persuade users not to turn off location services, again with take-it-or-leave-it notifications.” The take-it-or-leave-it approach leaves consumers with few options. The bottom line is that we need innovation. Innovation can benefit the public while creating wealth for their founders, investors, and employees. That said, innovation should require responsible and thoughtful leadership to protect everyone.